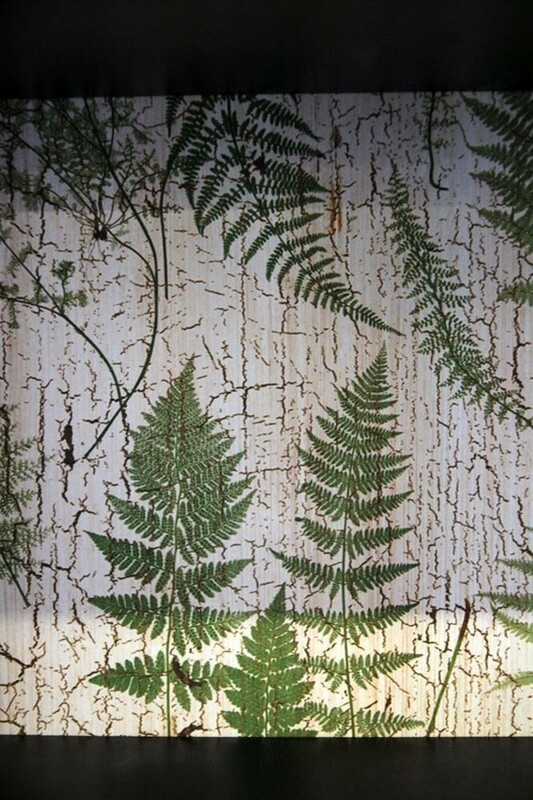 ​The Baby Distressed Black Wall Cabinet with Botanical Lining is gorgeous. 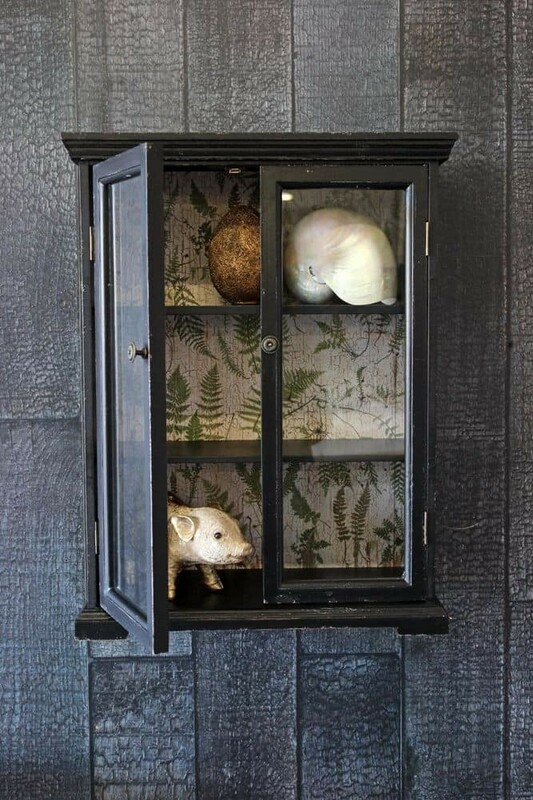 Perfect for storing all manner of ornaments, dining-ware and curiosities. 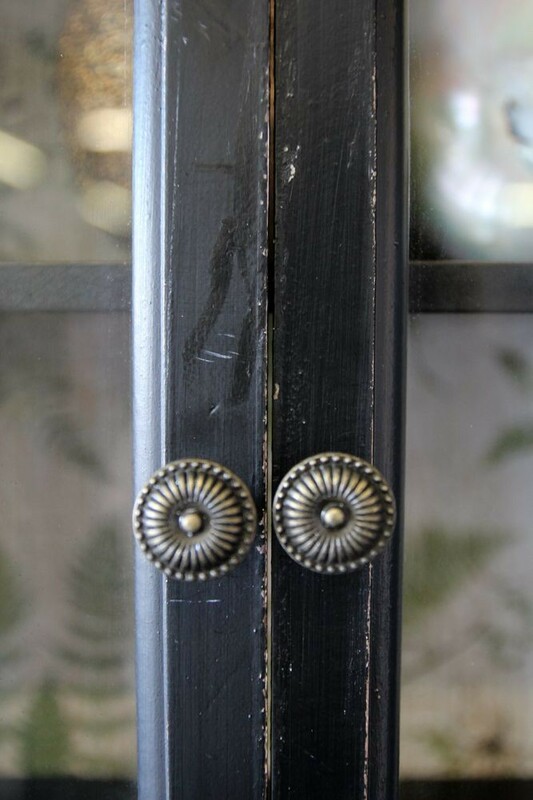 The distressed exterior is painted vintage black and the interior of the display cabinet has a contrasting delicate botanical lining. 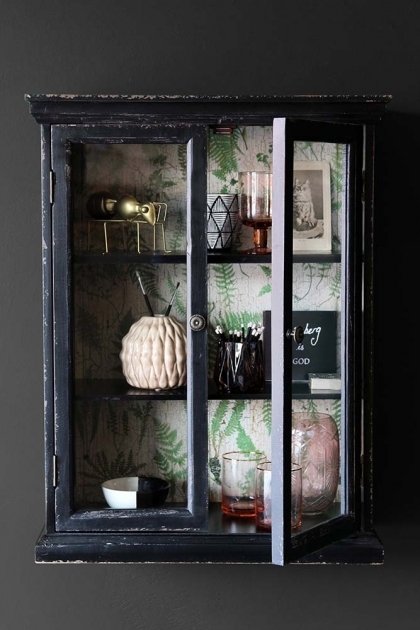 The display cabinet has two glass doors and 3 internal shelves.